It is said behind success of every man there is a woman. Sowhether it is your mother, wife or sister let the special woman in your life realize that they are very special to you. 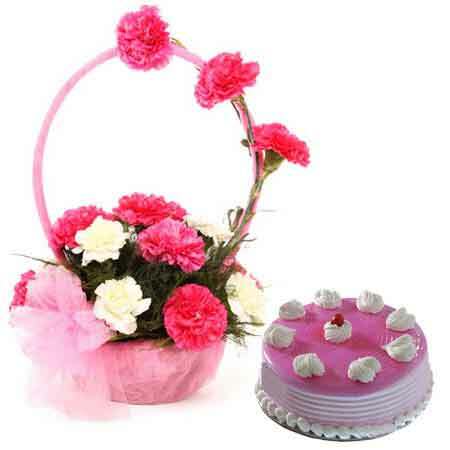 Gift them this marvelous gift that comprises of 12 pink & 3 white beautiful carnations in a pretty handle basket arrangement decorated with pink net and a pink colored Half kg strawberry cake.